Market produce is on display outside the Scarborough market on Wilson Road on Friday morning. Vendors at the Scarborough Market will have to wait until January to move to the temporary market facility at Shaw Park with relocation plans for this month upset by rain. 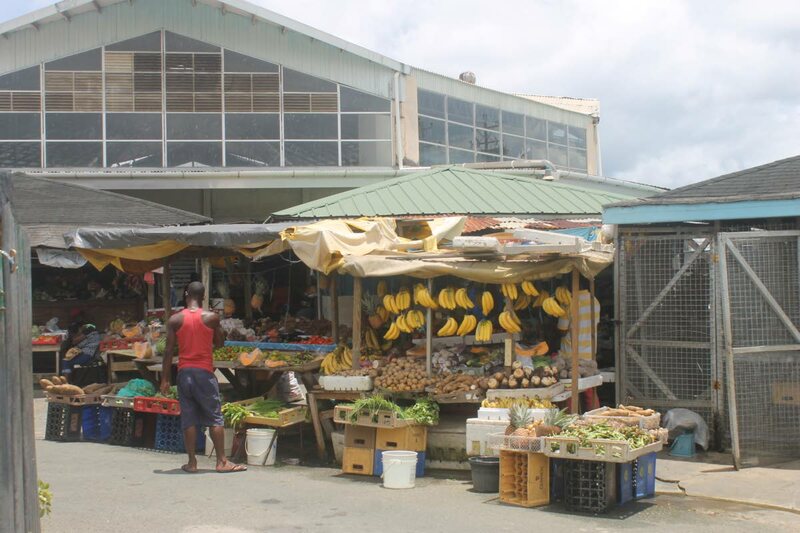 Food Production Secretary Hayden Spencer said on Wednesday that contractors could not complete the work at the Shaw Park site because of inclement weather, and that while work may be completed before January, relocation of the vendors will not take place before then so as to inconvenience them and hamper Christmas sales. “Due to the kind of weather that we have been having, we would not be able to keep up with that November deadline. Many days the contractors are down there, and they cannot work because of the inclement weather… we are now looking at January,” Spencer said in a telephone interview on Thursday. “We have to construct a shed to accommodate the sales area and that is the basic problem because that is an open area and every time it rains the contractors cannot get to really work because basically it is a steel structure. The inclement weather keeps throwing back the work down there. “So, based on the weather and if the weather holds up, we would be able to complete before January but what we are not going to try to do for the Christmas season is to try to relocate them during that busy period. We would not discommode them for the Christmas period for their sales but right after the Christmas, there is a downtime in January, so we are hoping to catch that time to do the relocation,” he added. The Division first announced in June that vendors would be temporarily relocated to Shaw Park by August. This date was later changed to November. The existing market is to be upgraded at a budgeted cost of $21 million in an 18-month time-frame. One vendor at the market said she and other vendors welcomed the January move, glad to remain at the centrally located Wilson Road market to capitalise on Christmas sales. money before the move and that was granted to us,” one vendor said on Friday. Reply to "Now January relocation for market vendors"